We understand that clients facing an investigation or enforcement action by the government need help quickly. Every step or misstep can have an irreversible impact on the outcome. Whether it’s the U.S. Attorney’s Office, the SEC, the IRS, the DOJ, FINRA, FERC, the Massachusetts Securities Division, or another federal or state agency or a self-regulatory organization, an investigation can be serious, alarming and potentially damaging. Knowing what direction to take, what strategy to pursue, what to communicate when and to whom, is critical. The Nutter team is a tightly-knit group of dedicated attorneys who work together on strategies to solve clients’ problems. Highly experienced partners share their expertise and insight to optimize each client’s case in a collaborative approach that benefits the client with their combined knowledge and the strength of their collective commitment. We give each client an exceptional degree of direct partner attention, together with the consistent support of talented litigation associates who concentrate in government investigations and white collar defense work. Jonathan L. Kotlier has represented numerous corporations and individuals in government investigations and for his work he has been recognized by Chambers USA as an "outstanding litigator and adviser with excellent insights and judgment." He has represented numerous high level corporate officers in investigations by the SEC and Department of Justice. Prior to joining Nutter, he served for twelve years in the U.S. Attorney’s Office for the District of Massachusetts, during eight of which he was Chief of the Economic Crimes Unit. He worked closely with the Securities and Exchange Commission and the Massachusetts Division of Securities on securities fraud cases. A seasoned trial lawyer, he has tried over 20 cases to verdict. 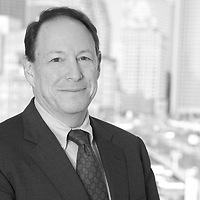 Ian D. Roffman is a former Senior Trial Counsel in the Enforcement Division of the Securities and Exchange Commission in Boston, where he received both the Chairman’s Award for Excellence and the Enforcement Director’s Award. Our clients range from Fortune 500 companies to world-renowned universities to employee groups to smaller businesses, who have turned to the firm for representation on the full spectrum of criminal and civil matters, regulatory proceedings, compliance efforts, internal investigations and other interactions with the state and/or federal governments. Nutter's government enforcement defense attorneys have been involved in virtually every major health care fraud case in New England over the past decade, including actions brought under the anti-kickback statute and the newest wave of cases challenging the off-label promotion of pharmaceutical products. Our group represents corporations, medical institutions and individuals in federal and state civil and criminal health care enforcement actions. Our attorneys have extensive experience with all types of federal and state, criminal and civil, SEC, and FINRA investigations and enforcement actions, including those regarding insider trading, accounting issues, and mutual fund late trading and market timing. Our group also conducts internal investigations into corporate governance and breach of fiduciary duty issues. 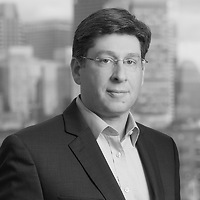 Ian Roffman is a former senior counsel at the SEC, and Jonathan Kotlier worked extensively with the SEC, FINRA, and Massachusetts Division of Securities during his 12 years at the US Attorney’s Office; he also served on the Department of Justice’s Securities and Commodities Fraud Working Group. Nutter has broad experience representing private and non-profit entities, and individuals, who have been sued for submitting allegedly false claims to government agencies. Nutter has also represented individuals whose work on government contracts has led to criminal charges. Our extensive work in the area covers industries ranging from military procurement to import/export firms, hospitals and medical devices. 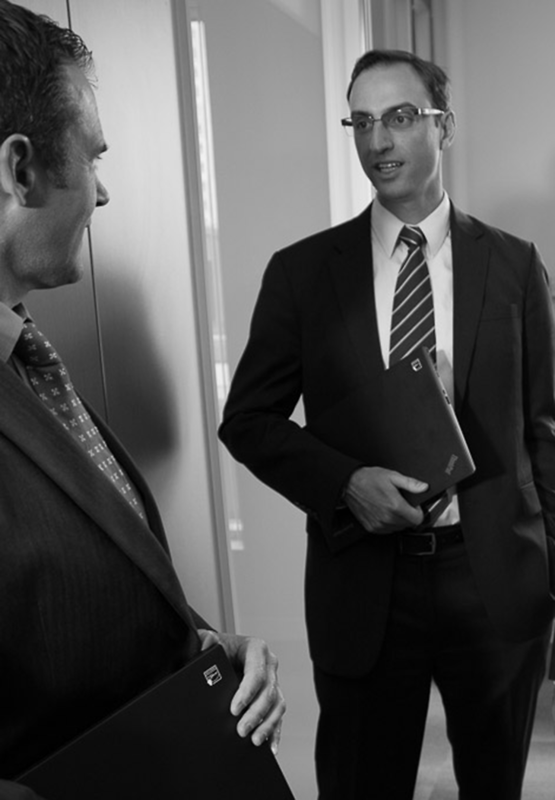 Handling internal investigations is an integral part of the legal services we provide. Our attorneys extend expert legal advice, identify potential exposures at the earliest possible point, and assist clients in developing and adopting a plan to address these issues internally or negotiate a resolution with the regulator involved. Our attorneys evaluate client needs, industry standards, regulatory guidance and the Federal Sentencing Guidelines to develop and implement optimal compliance programs that reflect a client’s unique requirements. In addition, the team conducts "refresher" courses to maintain the client’s awareness of both new and old regulations, as well as to highlight legal developments that may affect a client's business. Nutter attorneys have deep expertise in the issues surrounding the investigation, prosecution and defense of complex computer crime and intellectual property offenses, including theft of trade secrets, violations of the Computer Fraud and Abuse Act and other issues related to computer intrusions and the unauthorized use of electronic information. We also advise companies on compliance with state and federal disclosure obligations related to identity theft and the misuse of personal information. Nutter attorneys have significant experience representing energy companies and traders in enforcement, audit and compliance matters before FERC, including cases involving alleged market manipulation in the natural gas and wholesale electricity markets. In addition, Nutter has experience defending criminal and civil government enforcement actions in a wide range of areas beyond those described above. Our work, however, is not limited to defense; our attorneys also have extensive experience as special prosecutors and in representing victims of fraud in their efforts to recoup lost assets. In a significant victory for a Nutter client -- a star portfolio manager for a large national asset management firm -- the Securities and Exchange Commission closed its investigation of the portfolio manager without recommending any enforcement action. The SEC was investigating the client in connection with several trades made prior to public announcements of secondary offerings. Nutter served as counsel for one of the world's largest health care companies in a six-year investigation into alleged off-label use of one of its leading products. The biologics division of Stryker Corporation, a large medical device company, and four of its managers were indicted on federal fraud and conspiracy charges. Nutter represented the division's former national sales director in this nationally-watched health care fraud prosecution. Nutter took the lead in several pretrial motions that raised judicial concerns about the government's case and succeeded in having one count severed from the case on the eve of trial. After the first week of what was expected to be a two-month trial, the government settled with the company and dropped certain charges, leaving only Nutter's client and one other defendant on trial. Within three days, after additional legal challenges brought by Nutter and co-defendant counsel, the government dimissed all charges against Nutter's client and the other defendant on trial. After the AOL/Time Warner merger, in which AOL had the upper hand, it became clear that AOL’s revenues had been overstated. Federal authorities focused on PurchasePro, a company that had done extensive business with AOL. Most of PurchasePro’s senior officers were indicted, and several of them incriminated the company’s General Counsel. The General Counsel retained Nutter, insisted he was being falsely accused, and asked for an early trial, waiving his right to a jury. The case required the Nutter team to master an extremely complex set of facts and prove that several witnesses were all lying. Had the judge believed any of three key government witnesses, our client surely would have been convicted. But the Nutter team was able to expose their lies at trial, and The General Counsel was acquitted on all counts. He has returned to the practice of law and is raising a family. Routinely advise clients and other lawyers on issues related to the search and seizure of computers and other electronic data. Nutter represented a hospital in responding to a subpoena by the OIG and USAO alleging Stark and anti-kickback violations. Counsel for one defendant in 52-day federal criminal trial alleging conspiracy to violate the Medicare anti-kickback statute, resulting in acquittal of all defendants on all charges. Co-lead counsel for all defendants before trial in making constitutional and statutory challenges to indictment. Counsel for one of world's largest healthcare companies in five-year investigation into alleged off-label use of one of its leading products. Investigation is pending. Represented large regional hospital in Justice Department action to recover amounts allegedly wrongly billed to Medicare for outpatients later admitted to hospital. Matter was resolved without any liability or damages. Represented individuals in many of the region's largest health care fraud cases in the past 15 years. Clients include board chairmen, chief executive and chief financial officers, managers and employees in sales, marketing, clinical affairs and regulatory affairs, physicians, and medical directors. Numerous clients had received "target" letters but subsequently were not charged. Investigations have covered broad range of health care statutes, including anti-kickback statute, off-label promotion laws, "best price" laws, Prescription Drug Marketing Act and various conspiracy and fraud statutes. Represented renowned economist in $100 million False Claims Act case brought by federal government over alleged conflicts of interest in regard to a $40 million foreign aid grant for work in Russia. The case was settled after five years of litigation for a very small fraction of the government's original claim. Co-lead counsel for over 60 physicians in a False Claims Act case alleging fraudulent receipt of kickbacks and improper off-label promotion of a medical device. The federal court granted defendants' dismissal motions and dismissed all claims with prejudice. Representing regional hospital in federal False Claims Act case alleging false claims based on inadequate patient/staff ratios. Case is pending. Have conducted several internal investigations for one of the nation's largest healthcare companies in connection with government investigations of alleged improper off-label promotion, rebate claims and payouts to physicians. Conducting an internal investigation for Fortune 200 public company concerning possible fraudulent securities offerings. Conducting an investigation for the special litigation committee of the board of directors of a Fortune 500 company concerning possible securities law violations. Nutter conducted an internal investigation for the audit committee of a public biotechnology company concerning securities law compliance. Representation of company charged with multiple environmental offenses related to alleged illegal discharges at sea. Matter was resolved for small fraction of government's original claim. Represented key employee in federal criminal investigation of alleged false statements to EPA regarding petroleum testing. No charges were brought. Represented leading non-profit in federal investigation for alleged abuse of special mailing rates. No case was brought. Represented project manager for one of the country's largest defense contractors in criminal investigation for alleged unlawful export of communications equipment to Pakistan. No charges were brought. Represented Chief Financial Officer in federal investigation of alleged overbilling of U.S. Agency for International Development. No charges were brought. Represented individual charged with felony related to employment of illegal immigrants. Felonies dismissed. Client pled to misdemeanor. Represented employees or company in connection with state and federal public corruption investigation focusing on lobbying activities. Represented numerous engineers and others in major criminal and civil construction litigation related to Big Dig project. Successfully persuaded USAO not to bring forfeiture action, after arguing merits of innocent owner defense. Represented large supermarket chain in federal investigation into alleged improper payments for labor piece. No charges were brought. Represented former Controller in SEC investigation alleging backdating of stock options. SEC decided not to recommend enforcement action against our client upon completion of its investigation. We represented one of the world's largest and most highly regarded health care companies in a major criminal investigation by the Justice Department over the alleged off-label promotion of one of its largest selling drugs. For several years, the government insisted that the parent company's subsidiary would have to plead guilty to felony charges and pay a criminal fine that would have been among the largest paid in recent years in a health care case. After a lengthy series of written and oral presentations, the government ultimately agreed to allow the subsidiary to plead guilty to a misdemeanor and pay a fine that was an extremely small percentage of the previous demands. The government privately informed me that our combination of zealous advocacy and credibility made a big difference for the client. Our client and 11 other managers and executives of a large pharmaceutical company were indicted on charges of conspiring to bribe doctors. The company had previously paid $875 million in fines and other penalties to the government based on the same alleged conduct. The government had publicized the case as a prime example of widespread corporate misconduct. However, after a three-month trial, our client and the seven other defendants remaining on trial were acquitted on all charges. We represented a senior executive of one of the world's largest pharmaceutical companies in an investigation based on alleged adulteration of several products at a large manufacturing plant. After the company paid over $500 million to settle the matter, the Justice Department informed the company that it was considering "responsible corporate officer" charges against two executives who had oversight of the factory, including our client. After more than a year of intensive efforts on our part, the government decided to close its investigation.